Here are the horse facts you need to know if you own a horse or horse business, or are thinking about getting a horse or starting a horse business. Horse training and horse care is a whole lot easier if you understand how horses think and behave. Ever wonder why we mount and lead horses on the left? Or which flavors horses prefer? Or why your horse is skittish when you lead him? Wonder what to tell people when they ask why you're "so into horses?" You'll find the answers here. Horse Facts: How Much Do You Know About Horses? Keeping a horse isn't like keep a dog or cat. Dogs and cats are designed more like humans than horses are, in some very important ways. 2. FACT: Choking Takes Longer In Horses. Horses are also obligatory nose breathers. That means they can breathe ONLY through their noses. 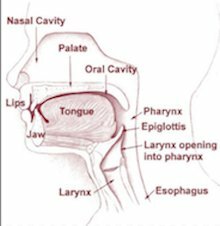 We can breathe through our mouths and our noses. So if we get a stuffy nose, no big deal. We just breathe through our mouths. If a horse's nasal passages swell due to a snake bite or allergy, he will suffocate because he can't breathe through his nose. For this reason, it's always a good idea to keep clean flexible garden hose in your barn. If something like this happens to your horse, you can put some vaseline on the hose and guide it up through a nostril so he can breathe until the vet arrives. Horses depend more on their sense of smell. That piece of paper fluttering on the other side of the arena is a piece of paper to you. Your horse--who can't identify it well with her eyes and can't smell it from so far away--sees a monster. And since horses are prey animals, nature designed them to flee really fast first and think about what that thing was later. Within the first two weeks of life, foals erupt 12 baby teeth through their gums. By nine months, 12 more teeth will have erupted. By the time they are yearlings, they have between 24 and 30 teeth. In the second and third years of life, these baby teeth start getting replaced by permanent teeth. Canine (or bridle teeth) erupt at about age 4-5 years in male horses. They also erupt in about 20-25% of mares and are usually smaller than those found in males. 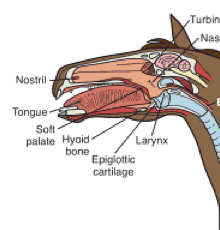 By 5 years of age, horses have all of their permanent teeth, as shown in the illustration below. But most of the tooth structure is below the gum line. 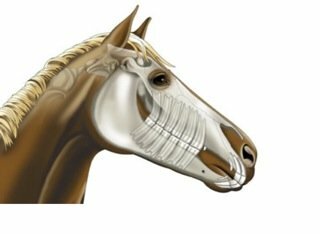 Now here's the really interesting part: Horse teeth emerge through the gums throughout a horse's lifetime. That is why people think that horses teeth grow. Horses grind down their teeth as they chew their hay. This isn't normally a problem because there is plenty of tooth outside the gumline, and the teeth emerge as needed. But they can form sharp hooks or unevenness as the horse chews. 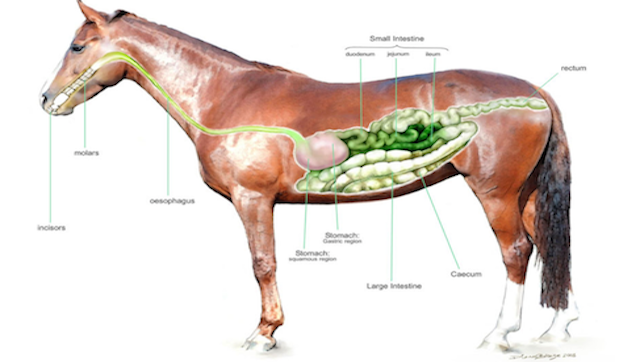 These problems can interfere with the bit when you're riding, or can cause a horse pain as he eats. That is why they must have their teeth filed or "floated" (as it's called) by a veterinarian or equine dentist at least annually. By the time horses reach their senior years (20+), there may be very little tooth left with which to grind down hay. That is why senior horses typically need special diets to ensure that they are getting all the nutrition they need. Horses are huge. This often comes as a surprise to people who are used to being around dogs or cats, and then consider getting a horse. Horses weigh on average about 1,000 lbs or more. A 5'5" tall woman will have difficulty seeing over the back of an average horse. These are just some of the more useful horse facts every horse owner or horse business owner should know. Horses Can Read Human Facial Expressions--So What is Your Face Saying? Read more. Is Your Horse a Pasture Bully? Here's Why...and What to do About it. Read more. If a thoroughbred, an arabian, and a quarter horse raced each other, who would win? Click here to find out. Denise Cummins, PhD has over 30 years experience as an equestrian and horse business owner. In The Thinking Equestrian, she shares valuable tips on caring for and training horses, giving riding instruction, and running a successful horse business.